Nowadays Hydrosila Group is the leading manufacturer of fluid power machines and hydraulic system components for agricultural, construction and road-building equipment at the territory of the CIS countries. 2017 - Opening a regional office in the European Union - Hydrosila EU, Wroclaw (Poland). 2015 - Creation of factory on manufacturing of hydraulic cylinders in Republic of Belarus - "Hydrosila BELAR". 2013 - Creation of a plant for manufacturing of castings from gray and high-strength cast iron - Private Joint-Stock Company "METALIT". 2011 - Hydrosila hits a milestone reaching the production capacity of over 1 000 000 gear pumps per year. 2009 - manufacturing of axial-piston units was organized as the separate factory out of Hydrosila and named Hydrosila APM. Branch office Power Hydraulics Trading (Shanghai) Co.Ltd was established in Shanghai, China. 2007 - manufacturing of hydraulic cylinders was established as the separate factory and named Hydrosila TETIS in Melitopol, Ukraine. 2006 – was acquired Hydrosila MZTG manufacturer of hydraulic control valves, located in Melitopol, Ukraine. 2003 –was established factory on manufacturing of high pressure hoses Hydrosila LEDA, in Kirovograd, Ukraine. 2001 – was organized managing company Hydrosila Group. 1980 – was mastered manufacturing of axial-piston pumps and motors – hydrostatic transmission for agricultural machinery under the license of Sauer-Sundstrand Co., Germany. 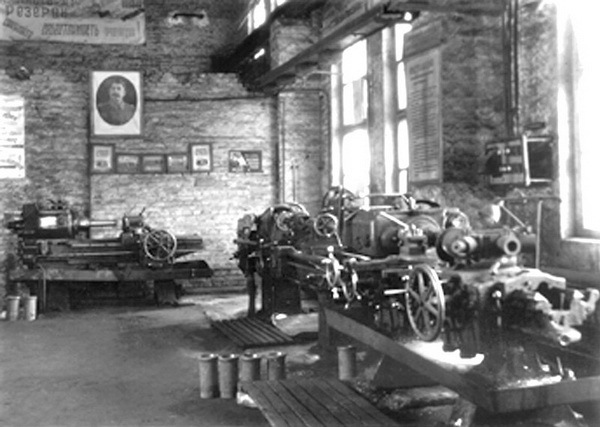 1958 – was mastered production of gear pumps, launched the first gear pump – НШ.